Kobe Bryant once considered Mike D’Antoni both a childhood idol when he grew up watching him play overseas in Italy and an “offensive genius” when the Lakers hired him to coach about two years ago. But Bryant’s sentiments soon changed as the he developed a dislike for D’Antoni’s fast-paced system through the Lakers’ two injury-plagued seasons. Hence, why D’Antoni admitted in an interview on SiriusXM NBA Radio that he viewed coaching Bryant with mixed feelings. First the positives. D’Antoni could not rave enough about Bryant’s work ethic. The Lakers’ star has averaged a league-leading 26.7 points albeit on a career-low 39.1 percent shooting after playing in only six games last season amid injuries to his left Achilles tendon and left knee. 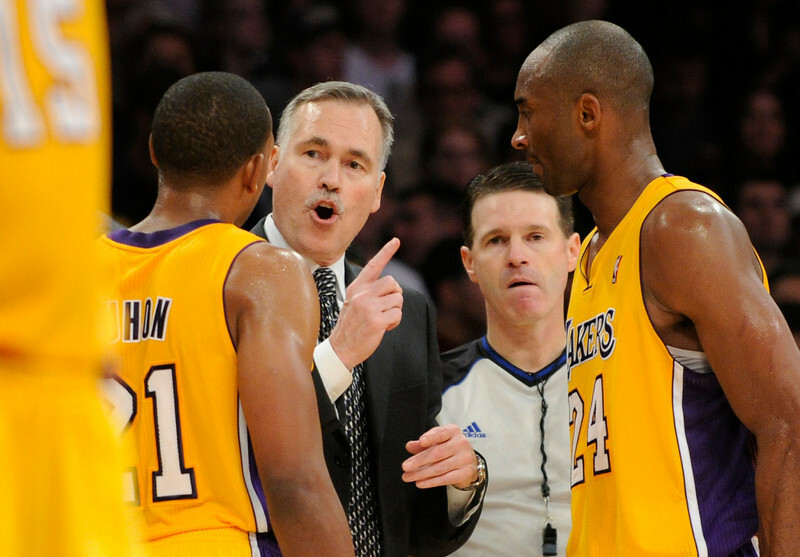 D’Antoni’s challenges through two years with the Lakers went beyond having a positive relationship with Bryant. D’Antoni’s 67-87 record (.435) through two seasons entailed countless injuries, mixed support for his fast-paced system and subpar defensive performances. It also did not help that the Lakers chose him after the general public believed the job would go to Phil Jackson, who won five of his 11 NBA championships with the Lakers. D’Antoni then resigned after the 2013-14 season after the Lakers declined to provide assurances they would exercise his team option to secure him for the 2015-16 season. D’Antoni had two years on his contract, and wanted to remove any lame-duck status. Despite D’Antoni resigning, the Lakers still owe him a portion of the $4 million he would have made this season had he still been coaching.